Afterskoolerz - After school and breakfast club based at Homerswood School. 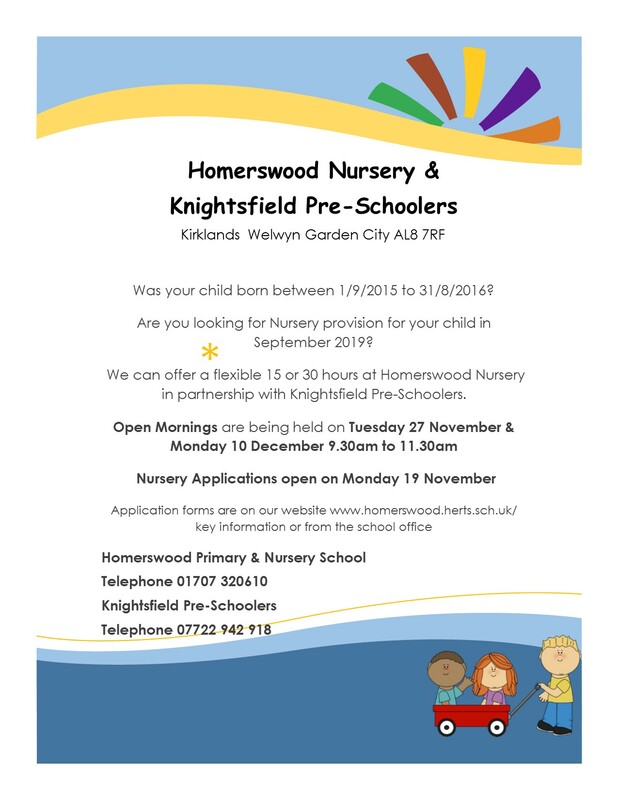 Knightsfield Pre-Schoolers - A pre-school located at Homerswood School. Welwyn and Knebworth group of children's centres (Applecroft, Barleyfields and Tenterfield) - Offering services for 0-4 year olds and their families.